Mathcad Prime 4 is better than ever! PTC’s most anticipated release is now available and with it comes many new features and improved functionality that provides just what you need. You can find improvements in areas such as performance enhancements, content protection, etc. to work faster, safer and smarter! 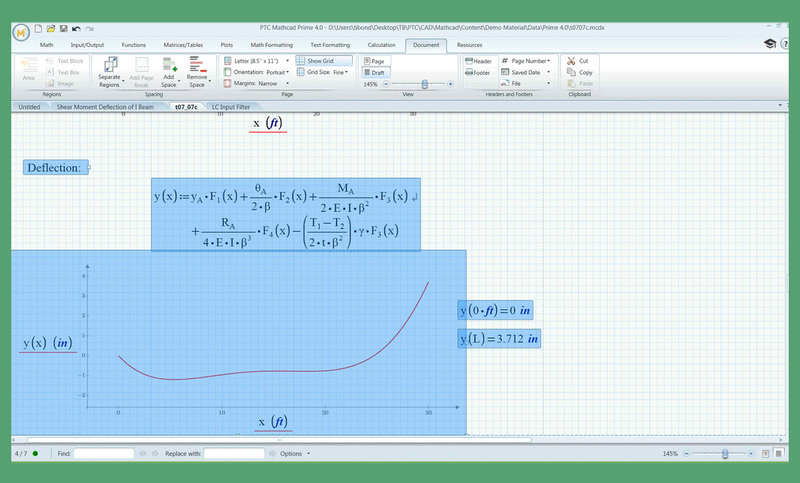 You can now see Mathcad Prime in action. See Prime 4.0 in action! 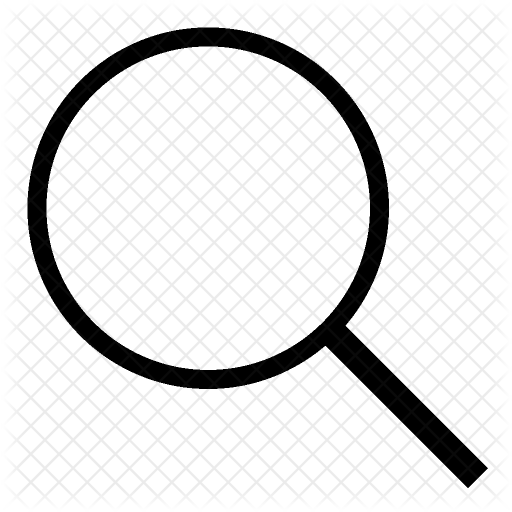 Content Protection- Manage the level of access and visibility you want others to have with content protection. This functionality even allows you to password protect your protected areas and share your calculations without exposing your IP. Document Manipulation Performance Improvements– Mathcad Prime 4.0 has a new structure that will better display regions on a worksheet to improve performance. This structure enables you to separate, move and select regions, add and remove white-space, text editing, and more. Mathcad on OLE Container– Now Mathcad allows you to embed applications as OLE objects within the worksheet. You can embed from any OLE object available in the system, from a link to file or current or new file. This feature allows you to extend functionality between your existing software. with equation wrapping. This lets you maintain your calculations organized and reduces the risk of misunderstandings and errors within different teams. 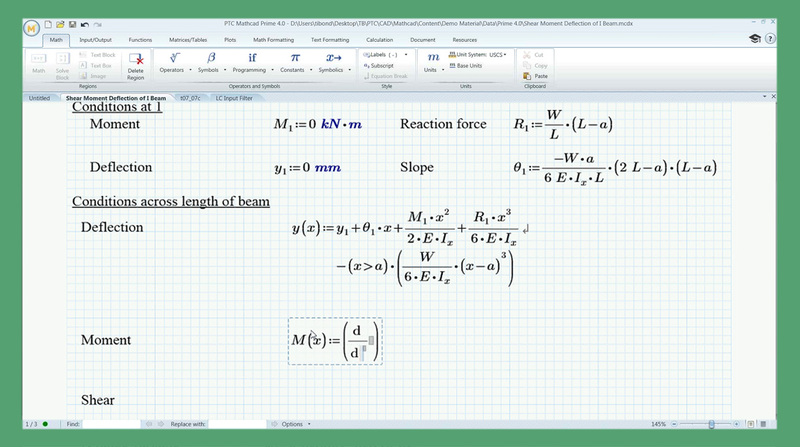 You can now allow an equation to be split/ wrapped as specific points, while having no impact on calculations. PTC has now added support for subtraction, multiplication and incline division. 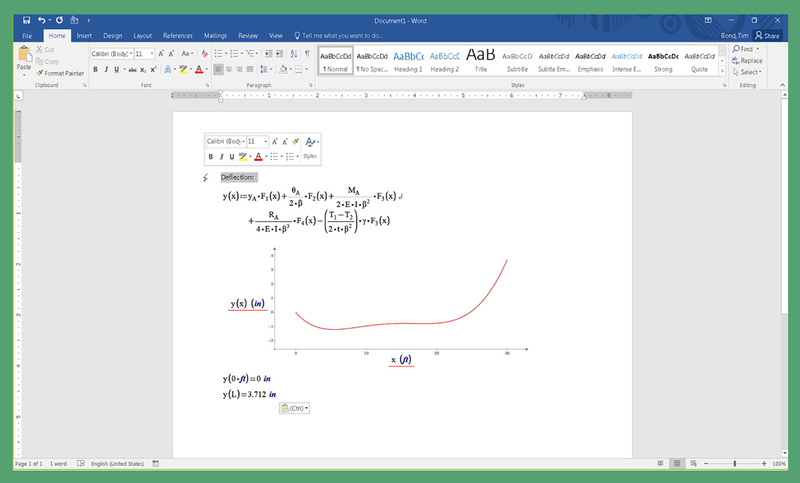 Copy & Paste Functionality– You can now select and copy multiple regions to paste onto MS word or other third party apps while maintaining the Mathcad layout. So why wait? Contact us to upgrade to Mathcad Prime 4.0 now! Does MCCAD Prime 4.0 include functionality to read/convert legacy MCD 15 files? Yes, this is possible-both Prime 4.0 and MCD 15 must be installed on the same computer.